The Australian National Health and Medical Research Council (NH&MRC) has today released its final report on its evaluation of Homeopathy, clearly concluding that there is no scientific basis for homeopathy and no quality evidence of its efficacy. The report confirms what many scientific and public health experts have maintained for years, that not only does homeopathy not work, if it did, chemistry, physics and physiology could not. 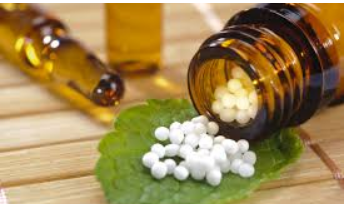 “In short, the continued promotion of Homeopathy would represent a commercial scam preying on the gullible,” said Professor John Dwyer AO, President of Friends of Science in Medicine (FSM), a non-industry aligned advocacy group for quality evidence in health. “Worse still, as a placebo therapy, harm may occur when it replaces effective therapies, as those given homeopathic treatments may wrongly think that they and their children are protected from serious infections,” said Professor Dwyer. “With so many pressures on the Australian health dollar the Government must stop subsidising unproven alternative therapies such as homeopathy through student loans for homeopathy and similar courses,” said Professor Rob Morrison OAM, Co-Vice President of FSM, “The government should also not subsidise health funds offering cover for pseudoscientific electives of this kind,” said Professor Morrison. “The government should at least mandate that health funds offer a cheaper option that does not include ‘belief based’ therapies,” he said. “It is completely unprofessional and unethical now for pharmacies to sell homeopathic products,” said Emeritus Professor Alastair MacLennan AO, Co-Vice President of FSM, “These products should now be removed from pharmacies and retail outlets”. While the NH&MRC has been reviewing Homeopathy, an expert committee, chaired by Australia’s Chief Medical Officer, has responded to a government request for a critical appraisal of 18 other “Alternative” health modalities (Iridology, Reflexology, Kinesiology etc.). The committee has reported that they found no credible scientific evidence for the clinical effectiveness for any of them.